A new round of Lost & Found opened on January 22nd and will be open until the 1st of February. Featured at this event are a ton of goodies, but the new DaD Design bed caught my eye. This bed is available in three different coloured woods. I'm showing the pickled wood in my picture. As well, this bed comes with a HUD (put it on and click the bed) which gives you tons and tons of different colour options. I liked that you could change the sheets, pillows, blanket, and duvet all separately. It really allows you a lot of different options. What I really like about some of these pieces is that they look stunning with a darker windlight. 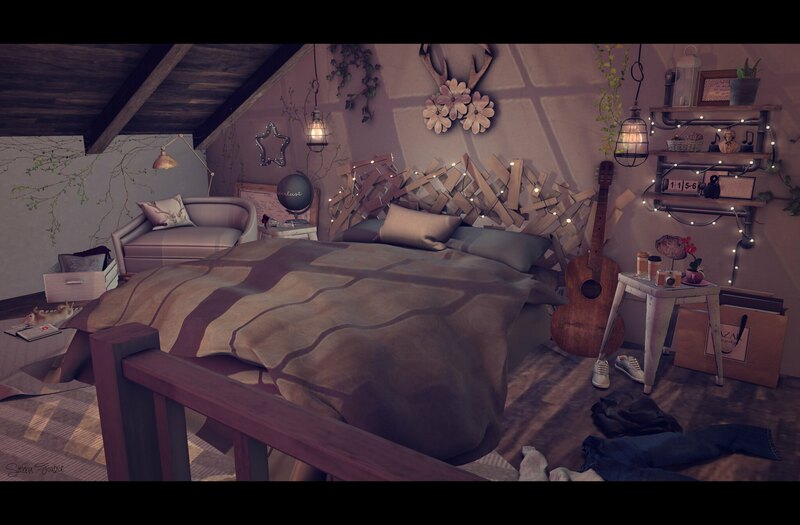 The bed, the star, and shelf all have lights wrapped around them. They look adorable when they're lit up. Atooly has released the star at Wayward Winter and the Charlie Shelf is at Lost & Found. The chair tucked in the corner is a new release from Brocante (Consignment (Wavie Haller/ValiantCo) & floorplan. (Tegan Serin). It's the matching chair to the sofa currently being sold at Uber. Also from the same brand are the hanging lights I've used. I love the detail in them and especially the little knot half way up the cord. I also used a throw rug from the same store. 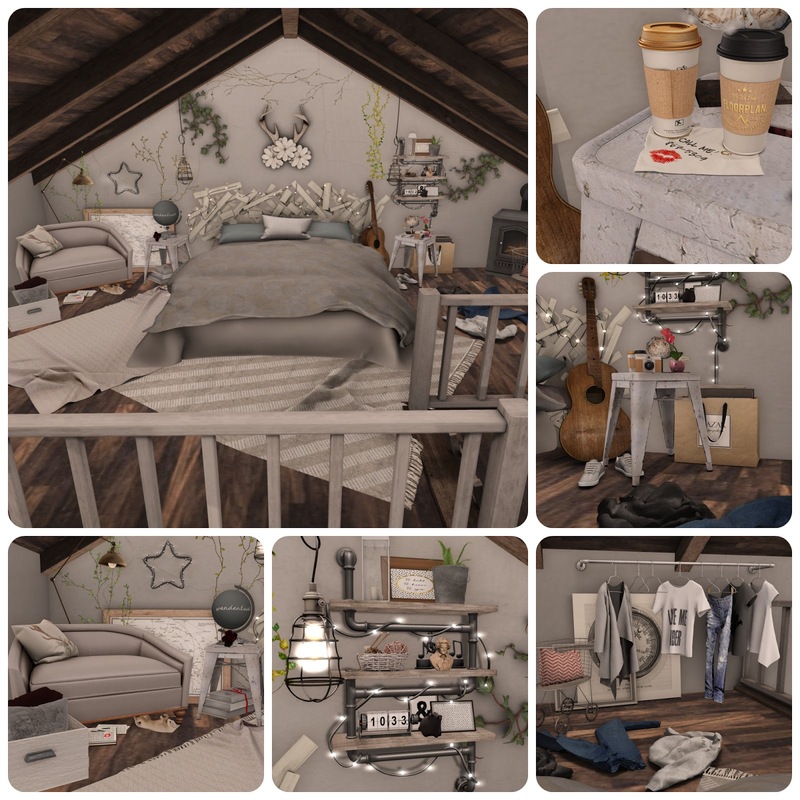 Tons of great things coming from Brocante, so make sure you take a look at their flickr or join the inworld group.